Thank you for the article and it has very nice graphics. The key facts highlighted from the article were very interesting. 1) volume of ice in Antarctica is 4.6% greater than previously thought. 2) The mean bed depth of Antarctica, at 95 metres, is 60 m lower than estimated. 3) The volume of ice that is grounded with a bed below sea level is 23% greater than originally thought meaning there is a larger volume of ice that is susceptible to rapid melting. The ice that rests just below sea level is vulnerable to warming from ocean currents. 4) The total potential contribution to global sea level rise from Antarctica is 58 metres, similar to previous estimates but a much more accurate measurement. Thanks for the images. I think this site is really starting to bring the Antarctica to life. Two of the images show nacreous clouds. Nacreous clouds are also called "polar stratospheric clouds" and get their brilliant, rainbow colors from sunlight that's reflected from below the horizon. The clouds are so high — up to 82,000 feet above the Earth — that they continue to glow in these incredible hues long after the sun has gone down. Unfortunately these clouds also contain nitric acid, which reacts with chlorine that's released by industrial processes — and that little combination of chemicals tends to contribute to the Antarctic ozone hole. which shows ice drifting away from the coast with a plume like feature (cropped image attached) I would like to know what is going on there. Does anybody here have suggestions? As we are past the peak for Antarctic Sea Ice Extent, I believe what you are seeing is a local break-up of some portion of the Antarctic Sea Ice sheet (which happens every year in a manner that depends on winds, tides, temperatures, storms, atmospheric lows/highs, tides, ocean currents, upwelling, etc). You are right not to read too much into a snapshot picture and of course I have no comparison for an interpretation of this year relative to other years. But I am learning from pictures like this which shows similar effects on a larger scale http://rapidfire.sci.gsfc.nasa.gov/cgi-bin/imagery/single.cgi?image=crefl1_143.A2013272013500-2013272014000.250m.jpg what the holes on the sea ice which can be seen in the ice concentration charts are. It shows me how much ice is driven away from the coast by winds (I am guessing this from the movement indicated on the sea surface) and therefore is as you say highly dependent on weather conditions. Just look at the sea ice extent graph bouncing up and down. August has been a lot warmer than average in Antarctica (see graphs page). Above average sea ice extent in antarctica which is a favoured talking point of some people is not the indication of cooling they want it to be. As I said not a scientific proof by a long shot but something to keep an eye on and learn about, and it is great to see that part of the world from my living room. As Neven quite rightly suggests on the 'building projects' thread we best focus on 'cultivating our gardens & minds', that we dont need to travel everywhere. I confess I was lucky enough to travel to NZ's Scott Base & environs in spring 7 years ago, on an Antarctica Artist Fellowship, so not as a tourist. I was there to 'work', & pay-back time came later! The idea being that an artist could express some aspect about the continent to the general public, so everyone else didn't need to travel there for themselves to still experience it in some way. That they could journey there through the imagination of an artist. And now here's another way too, more like being in a movie, with these are 360' panoramic pictures. Yes there are some of these already but the idea with this site is it will gradually grow to cover all sorts of locations around the continent. thanks for the image it looks great. lacking an explanation of what these are, clouds, ice remnants, other? yesterday, near PIG outlet. Clouds or a flock of these who have learned to fly just to give us the bird! Can you give a link to the image where your frame is from, Pmt ? My guess would be streaks of fog forming where cold air blows over open water at a "steamy"
-1.8degC. The combination of wind from the cold inland and upward convection might roll the forming fog into these streaks. I've seen this effect in MODIS images too and if somebody has more and better info, would like to learn more about this. The images I have seen have in common: ice drifting away from land opening wide gaps, the white streaks are at roughly right angle to the landward edge, and thinner and fainter near the landward edge. http://antarcticsun.usap.gov/science/contenthandler.cfm?id=2010 suggests that waves and spray could be part of the story. Ice formation is certainly happening too with dry cold air blowing over the water, but how quickly that happens and shows up I have no idea. This may not exactly match the categroy, but the video illustrates the interplay of ice conditions, weather and season and the rich biodviersity of the Antarctic seas. The next piece of ice likely to be separated from Ross Ice Shelf is located near the border of Lance Antarctica mosaic tiles r02c04 and r02c03, here a contrast enhanced photo (25.10.2013) with color mod over this 2150km2 piece of WAIS buffer. Not even near the largest ones to come off but anyway. I am now convinced this shows cold wind making ice. There are some thin clouds, distiguishable by their shadows, and extending over water and ice. But the streaks of loose (pancake?) ice on the sea surface pile up against the edge of the thin sheet of sea ice recognizable by cracks in that ice sheet. This image reminds me very much of flow visualizations I saw years ago on metal surfaces covered in silocon oil with added white pigment. Air blowing onto the metal plate left streaks of a very similar appearance. 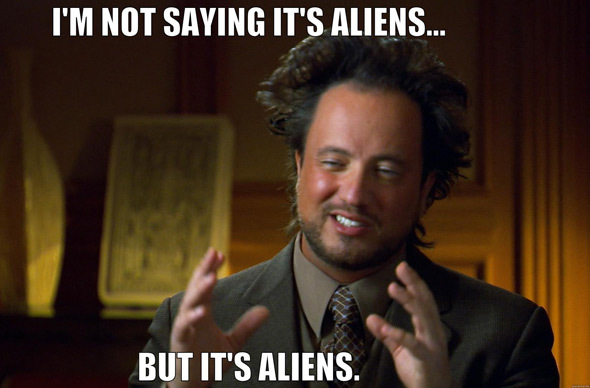 "The Australasian Antarctic Expedition lasted from 1911 to 1914 and explored previously unknown areas of Antarctica." 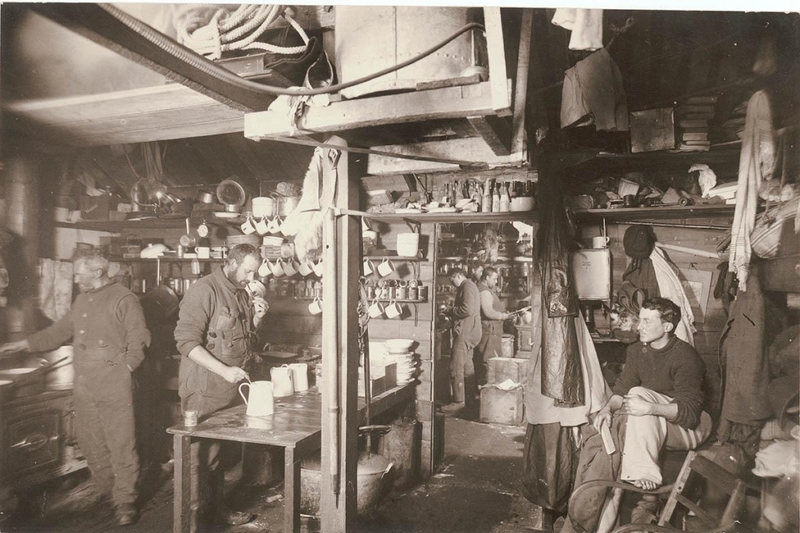 "Australian Antarctic Expedition members in the kitchen"
FYI, the Filchner-Ronne Ice Shelf is at the base of the Antarctica Peninsula. 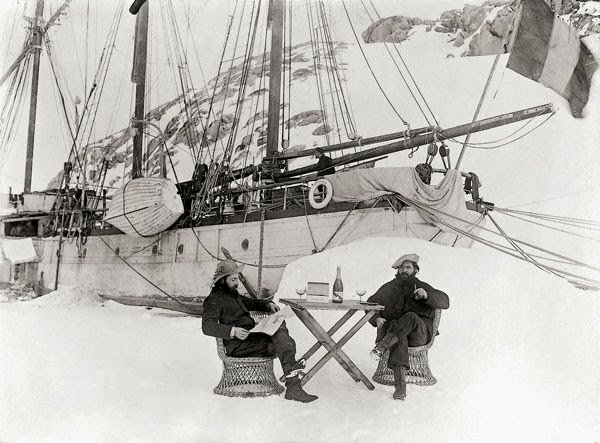 The first French expedition to Antarctica, 1903-5. What do you think about my gif? - Is it just the difference in lighting or is this rift growing? can't open file ... b.c. It looks to me like the crack is extending, from the images you showed. Good spotting Grygory! I haven't noticed this but I watched another crack further to the east expand maybe two years ago. The long one will connect to this and a calving might occur rather soon. Change on the brunt ice shelf during the last six months-Soon the large calving of the glacier? The last two interesting gifs. Thwaites glacier and ross ice shelf. - I do not know if they are interesting for everyone but if so in a month I can update. Very interesting. Thank you Grygory for these gifs, and I hope you keep updating them. And to complete the set - CNN news video on it a well. yes - and I don't see how crystals would form the rectangular shape - the rest look pretty random shapes in the flyover & I suspect its the luck of the draw - or crack. That was weird, wasn't it! The near-linear edges of large icebergs are largely associated with joint patterns associated with the shelf's stresses pre-iceberg-separation. I just wanted to say I was impressed by this image.